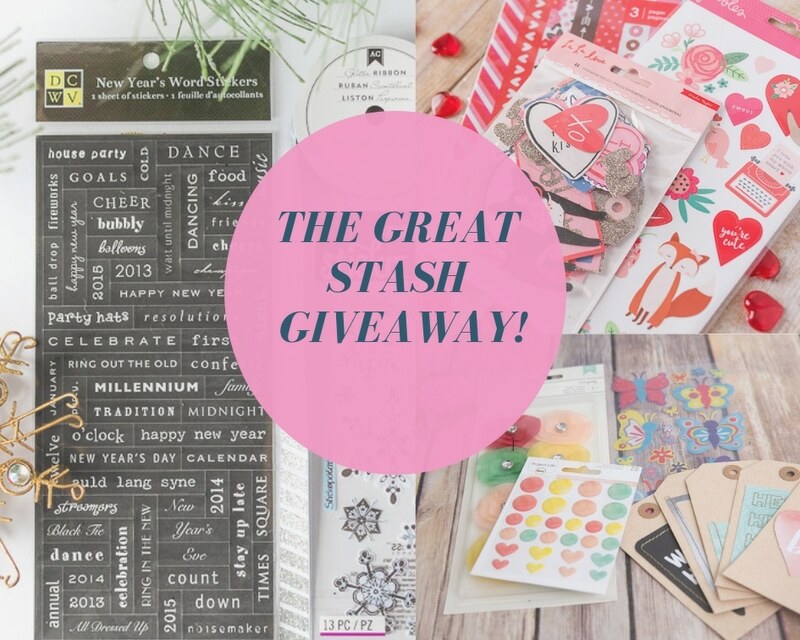 We love that scrapbooking paper is so versatile that you can use it to make so many cool things! 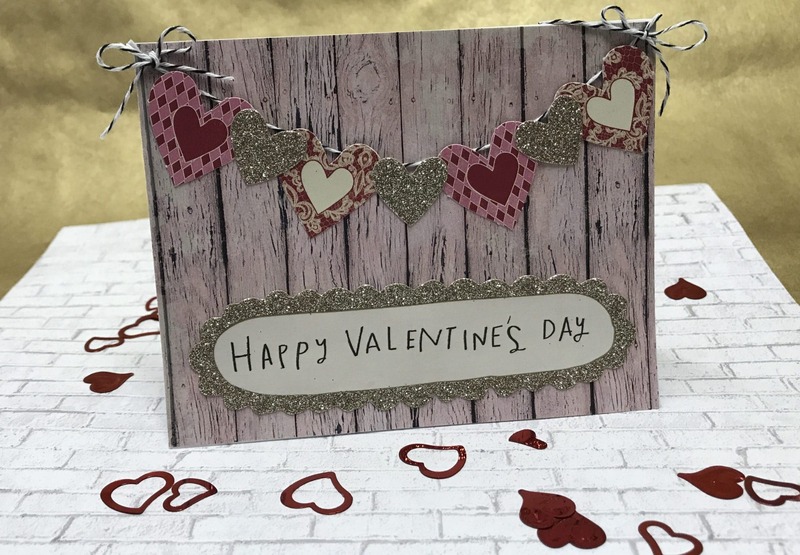 With Valentine's Day just a few days away, we wanted to highlight some beautiful homemade Valentine's Day cards that Cindy DeVries made with our February Kit. 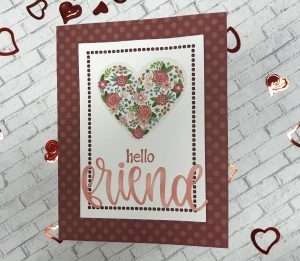 We'll highlight each of her card designs below along with her instructions for you to follow along! 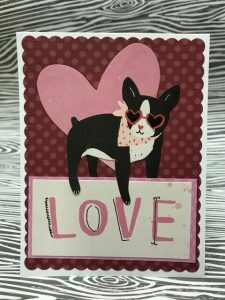 For this card I cut the background paper with a scallop edge die to 4x5.25” I layered the word LOVE from the die cuts with the pink dot paper. Once that was attached I layered the adorable dog on top of the heart. I added glossy accents to his glasses to give it a mirror effect. So CUTE! For this “country” themed Valentine I cut a piece of 4.25x5.5 inch paper for the background. I then took a piece of bakers twine and glued it down from corner to corner making a bow on each end. I used the die cuts to lay over the string. I glued the sentiment down which was also included in the die cuts. 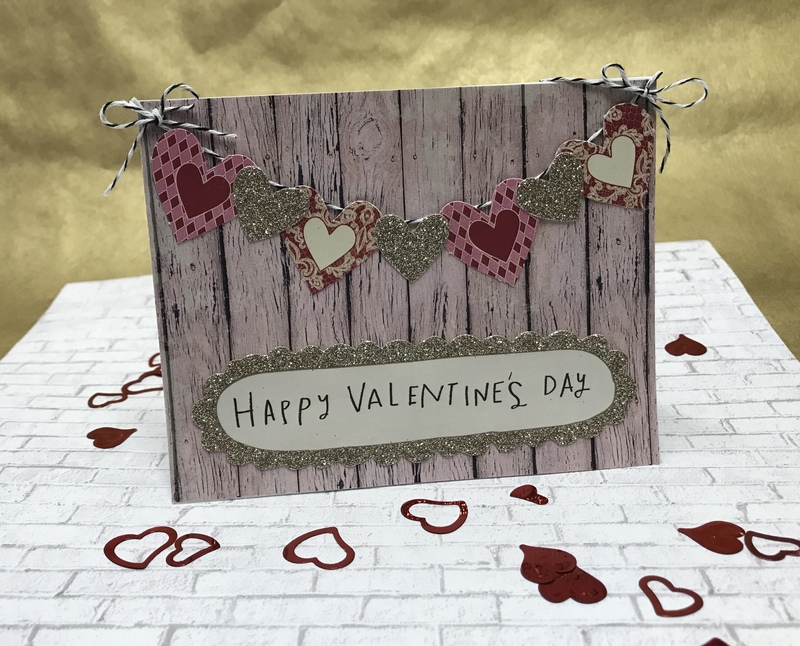 For this card I chose the three patterned papers which came in the kit to die cut three hearts. I cut several mini hearts out of black card stock and applied glossy accents. While that dried I masked off the card and used festive berries distress oxide ink across the middle of the card. I splattered some black ink down and arranged the hearts over the DO ink. I then stamped the greeting in white ink and embossed it onto black card stock. I glued that in the top left corner. 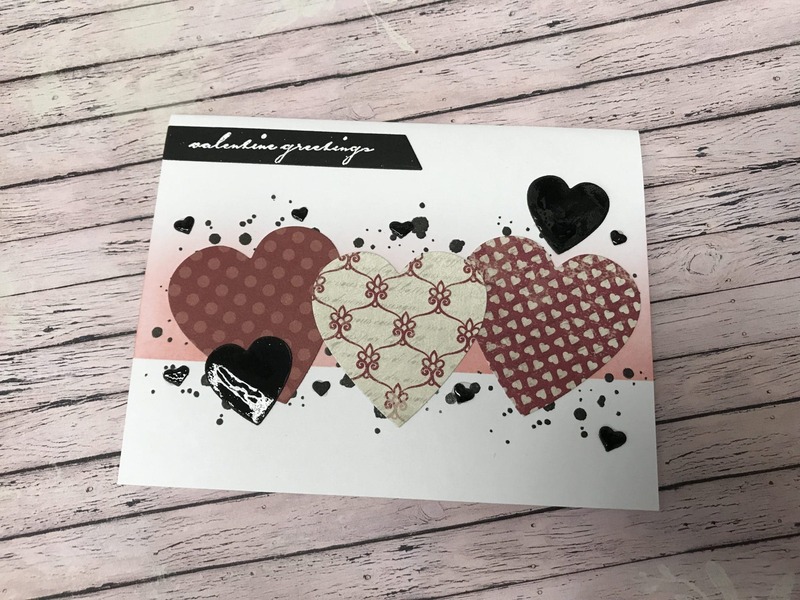 For this adorable card I cut the background out of the patterned paper tp 4.25 x 5.5 inches. I then cut a scallop oval using a die. 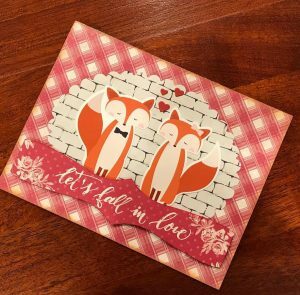 I layered the two adorable foxes over the oval and the used the sentiment which was in the kit. The sentiment really was fitting for those adorable foxes! I added a few mini hearts to show their love! For this card I cut the background to 4.25 x 5.5 inches and glued it to the front of a card base. I then cut the smaller floral stripe paper 3.24 x4.25 inches and layered it over black card stock to give dimension . I cut two thin 1/4 in strips of the black and white stripe paper and glued that over the top of the piece of pink and whit dot paper. I stamped the sentiment and die cut it using the scallop die. I then centered it over the top of the pink and white dot piece. 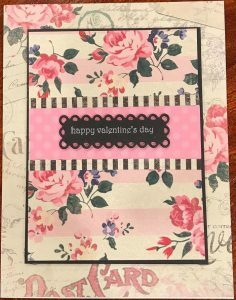 This card was made by cutting the floral stripe to 5.5 x 3” and placing it onto a pink card base. I then cut a strip of the striped card stock and used a scallop trimmer to the edges. Once that was layered onto the panel I cut two hearts out of black glitter card stock. punched a hole in each and tied a piece of red ribbon to hold them together. I glued down the heart at a slight angle. Under the hearts I stamped the sentiment with white ink and cut it with a decorative die. Together I feel it has a very Vintage Victorian look. For this card, I cut a background 4.25X5.5 out of the red polka dot paper. I cut a white stitch die and layered the beautiful flora sticker on top. Under the heart I stamped HELLO. I then cut the work friend out of white paper and inked it with Festive Berries Distress Oxide ink. It’s a versatile card that can be used for many occasions. For this card I cut a piece of the pattern paper to a 4.25x 3” piece. I then cut the red stripe paper into a 4.25 x 3.5 “ piece and glued them to the front of a pink card stock base. I then added a piece of lace over the top. 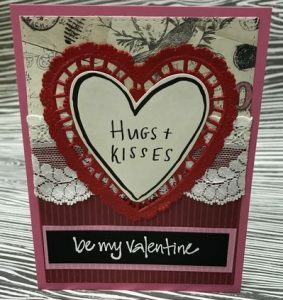 I picked the Hugs and Kisses die cut and placed it on a red doily. I centered it on top of the lace and glued it down. Under the heart I stamped the sentiment and white embossed it. I layered that onto a scrap of the pink and white stripe paper and secured it using glue. 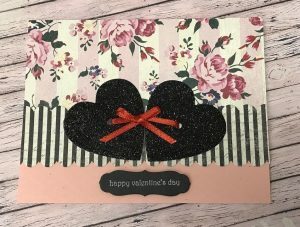 We LOVE these DIY cards and hope you do as well. If you haven't already, it's not too late to sign up for our monthly subscription and get in on this AWESOME February Kit (only available until the end of the month). Just click on the button below to get yours today!